The SPORT lab at the University of Southern California takes two new PhD students to begin their work in the Fall semester of each year (the application deadline is typically mid-December of the previous calendar year). Excellent GPA, prior publication record, and strong reference letters are highly desirable. Although it is possible to receive a research assistant position from Prof. Pedram's group directly, it is strongly recommended that students enter the USC fellowship competition i.e., apply for the university and/or school-wide fellowships first. Interested applicants may send an email to pedram@usc.edu about their application and qualifications, but they should not expect a direct email response. Massoud Pedram obtained his B.S. degree in Electrical Engineering from the California Institute of Technology in 1986. Subsequently, he received M.S. and Ph.D. in Electrical Engineering and Computer Sciences from the University of California, Berkeley in 1989 and 1991, respectively. In September 1991, he joined the Ming Hsieh Department of Electrical Engineering of the University of Southern California where he currently is the Charles Lee Powell Professor of Electrical Engineering and Computer Science in the USC Viterbi School of Engineering. Dr. Pedram is a recipient of the IEEE Circuits and Systems Society Charles A. Desoer Technical Achievement Award (2015), the Presidential Early Career Award for Scientists and Engineers (1996), and the National Science Foundation's Young Investigator Award (1994). His research has received a number of other awards including two Design Automation Conference Best Paper Awards, a Distinguished Paper Citation from the Int'l Conference on Computer Aided Design, one Best Paper Award of the ACM/IEEE Int’l Symp. on Low Power Design and Electronics, three Best Paper Awards from the International Conference on Computer Design, one Best Paper Award of the IEEE Computer Society Annual Symp. on VLSI, an IEEE Transactions on VLSI Systems Best Paper Award, and an IEEE Circuits and Systems Society Guillemin-Cauer Award. Dr. Pedram was recognized as one of the four DAC Prolific Authors (with 50+ papers) and the DAC Bronze Cited Author at the 50th anniversary of the Design Automation Conf., Austin, TX (2013), received a Frequent Author Award (Top Three Author Award) at the 20th Anniversary Asia and South Pacific Design Automation Conference, Chiba/Tokyo, Japan (2015), and listed as the Second Most Prolific and Second Most Cited Author at the 20th Anniversary Int’l Symp. on Low Power Electronics and Design, Rome, Italy (2015). Dr. Pedram has served on the technical program committee of a number of conferences and workshops, including Design Automation Conference (DAC), Design Automation and Test in Europe (DATE), Asia-Pacific Design Automation Conference (ASP-DAC), International Conference on Computer Aided Design (ICCAD), International Symposium on Low Power Electronics and Design (ISLPED), International Symposium on Physical Design (ISPD), and International Workshop on Logic Synthesis (IWLS). 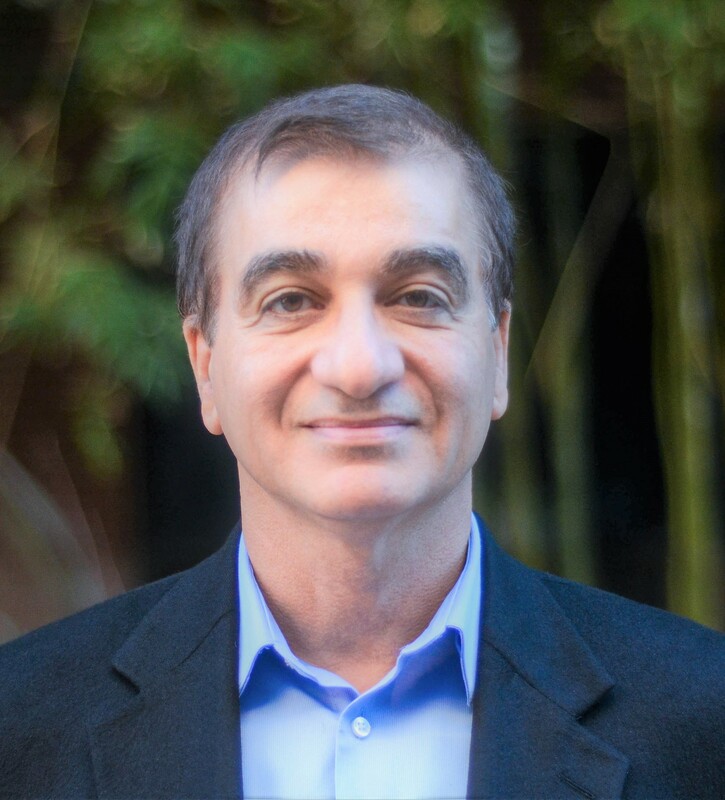 Dr. Pedram was a co-founder and general chair of the 1995 International Symposium on Low Power Design and the technical co-chair and general co-chair of the 1996 and 1997 International Symposium on Low Power Electronics and Design, respectively. He was the Technical Chair of the 2002 International Symposium on Physical Design and is the General Chair of the 2003 symposium. Dr. Pedram has given several tutorials on low power design at major CAD conferences and forums including, DAC, ICCAD, and ASP-DAC. He has published more than 600 journal and conference papers, written four books on various aspects of low power design, and holds 10 US patents. Dr. Pedram is an IEEE Fellow and an ACM Distinguished Scientist. He served as an Associate Editor of the IEEE Transactions on Computer-Aided Design of Integrated Circuits and Systems and ACM Transcations on Design Automation of Electronic Systems. He received the 2000 Distinguished Service Award of ACM - SIGDA for contributions in developing the SIGDA Multimedia Monograph Series and organizing the Young Student Support Program. Dr. Pedram served on the Advisory Board of the ACM Special Interest Group on Design Automation from 2000 to 2009. He was also a member of the Board of Governors of the IEEE Circuits and Systems Society from 2000 to 2002, Chair of the Distinguished Lecturer Program of the IEEE CASS for 2003 and 2004, and the CASS VP of Publications in 2005 and 2006. Dr. Pedram, who is an ACM Distinguished Speaker , currently serveas the Editor-in-Chief of the ACM Transactions on Design Automation of Electronic Systems (TODAES) and the IEEE Journal on Emerging and Selected Topics in Circuits and Systems (JETCAS). Click here for the complete list of publications. G. Pasandi , R. Mehta, M. Pedram, and S. Nazarian. Hybrid Cell Assignment and Sizing for Power, Area, Delay Product Optimization of SRAM Arrays, accepted for publication in IEEE Transactions on Circuits and Systems II: Express Briefs, Dec. 2018. S. Vahdat, M. Kamal, A. Afzali-Kusha, and M. Pedram. TOSAM: An Energy-Efficient Truncation- and Rounding-Based Scalable Approximate Multiplier, to appear in IEEE Trans. on Very Large Scale Integration (VLSI) Systems. Available on IEEE Xplore since 26 Jan. 2019. C. J. Fourie, K. Jackman, M. M. Botha, S. Razmkhah, P. Febvre, C. L. Ayala, Q. Xu, N. Yoshikawa, E. Patrick, M. Law, Y. Wang, M. Annavaram, P. A. Beerel, S. Gupta, S. Nazarian, and M. Pedram. ColdFlux Superconducting EDA and TCAD Tools Project: Overview and Progress, IEEE Transactions on Applied Superconductivity. Available on IEEE Xplore since 11 Jan. 2019. G. Pasandi and M. Pedram, A Graph Partitioning Algorithm with Application in Synthesizing Single Flux Quantum Logic Circuits , arXiv preprintin arXiv preprint arXiv:1810.00134, Oct. 2018. A. E. Eshratifar, M. S. Abrishami, D. Eigen, M. Pedram, A meta-learning approach for custom model training, arXiv preprint, Sept. 2018. G. Pasandi and M. Pedram Balanced Factorization and Rewriting Algorithms for Synthesizing Singl	e Flux Quantum Logic Circuits to appear in Proc. Great Lake Symposium on VLSI, May 9-11, Washington D.C, USA. A. E. Eshratifar, A. Esmaili, and M. Pedram. Towards Collaborative Intelligence Friendly Architectures for Deep Learning, to appear in Proc. of Int’l Symp. on Quality Electronic Design, Mar. 2019. G. Pasandi, S. Nazarian, and M. Pedram. Approximate Logic Synthesis: A Reinforcement Learning-Based Technology Mapping Approach, to appear in Proc. of Int’l Symp. on Quality Electronic Design, Mar. 2019. Principles of VLSI design from transistor operation to gate design to complex module and system design using custom and ASIC flows are covered. Topics covered in EE680 are: Physical design of digital VLSI circuits, with emphasis on problems of partitioning, placement and routing. Material related to graph theory and algorithms applicable to these layout problems will also be covered, including an overview of mathematical programming, combinatorics, graph theory, dynamic programming, branch and bound, and simulated annealing. Topics covered in EE681 are: Logic and behavioral synthesis of digital VLSI circuits, with emphasis on problems of hardware and software co-design, resource allocation and binding, scheduling, interconnect synthesis, technology-independent logic optimizations, technology mapping and fanout optimization. Materials related to Boolean algebra, finite automata theory, Petri nets, Verilog HDL, and Binary Decision Diagrams are examples of covered topics.